Irene Aleman-Lightbody Obituary - Cornwall-On-Hudson, New York | Quigley-Sullivan Funeral Home, Inc.
Irene Aleman-Lightbody, 49, a resident of the Town of Newburgh, NY died November 2, 2016 at her home, surrounded by her loved ones. 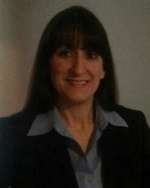 Irene earned her MBA from Mount Saint Mary College in 2011 and worked for JP Morgan as a Licensed Relationship Banker. Irene will be best remembered for her uplifting personality, for being a caring and loving person and mother, for her spirited energy and love for music and dance. She was a single mother of four and is survived by her mother, Hilda Baez; her sons, Ray Delfi, Carlos Lopez and Andrew Lightbody; her daughter, Alliana Lightbody; her sisters, Yvonne Bowrosen, Brenda Hartley (Shaun) and Delilah Velez (Steven) and her nieces and nephew. Visitation will be held from 4 p.m. to 8 p.m. on Friday, November 4th at Quigley Bros. Funeral Home, 337 Hudson St. Cornwall-On-Hudson, NY. A Mass of Christian Burial will be held at 10 a.m. on Saturday, November 5th at Sacred Heart Church, 301 Ann Street, Newburgh, NY. Cremation will take place at Cedar Hill Crematory, Middle Hope, NY.